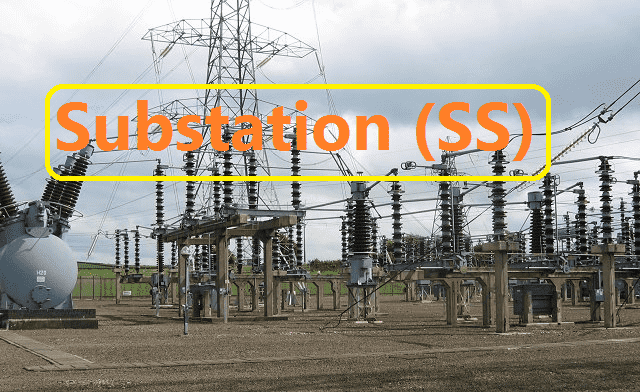 Substation is a place or station which is used to transmit & distribute the power. It is a middle part of the electrical power generation and consumers. It contains many electrical devices such as electrical panels, transformers, insulator, isolators, GOS, Earth switch etc. In Substations we can transform the voltage from high to low, or low to high. 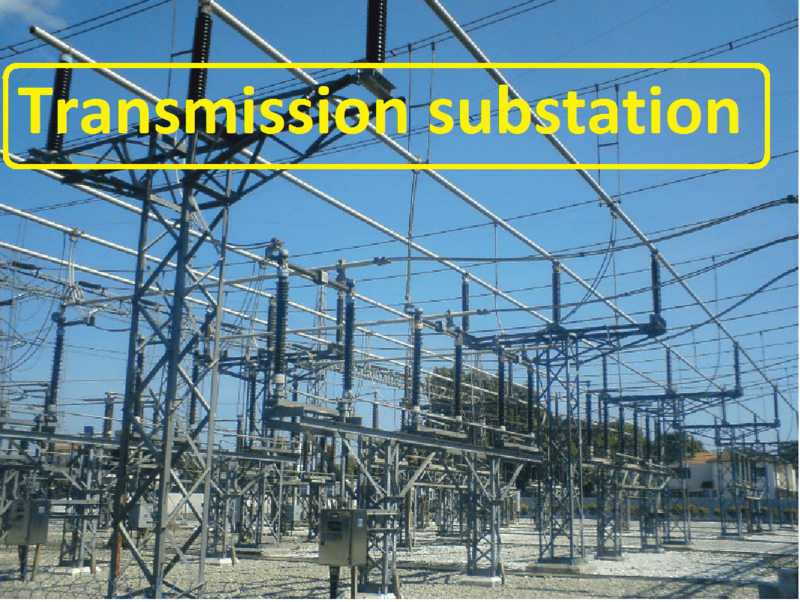 A substation may include transformers to change voltage levels between high transmission voltages and lower distribution voltages, or at the interconnection of two different transmission voltages. A transmission substation connects two or more transmission lines. In this, all the voltage of the incoming and outgoing lines are same. These transmission substations are used for isolating lines, fault clearance, line maintenance etc. In distributed generation projects such as a wind farm, a collector substation may be required. It resembles a distribution substation although power flow is in the opposite direction, from many wind turbines up into the transmission grid. Usually for economy of construction the collector system operates around 35 kV, and the collector substation steps up voltage to a transmission voltage for the grid. The collector substation can also provide power factor correction if it is needed, metering, and control of the wind farm. 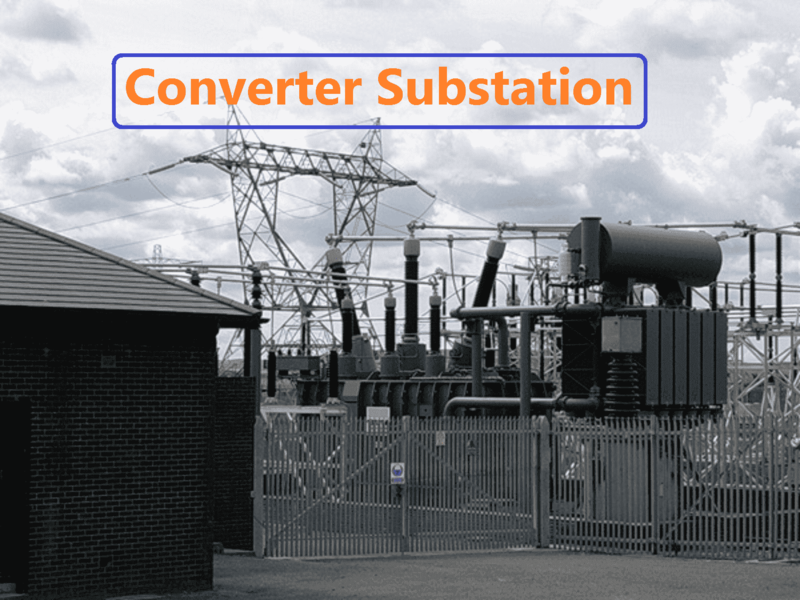 In some special cases a collector substation can also contain an HVDC converter station. 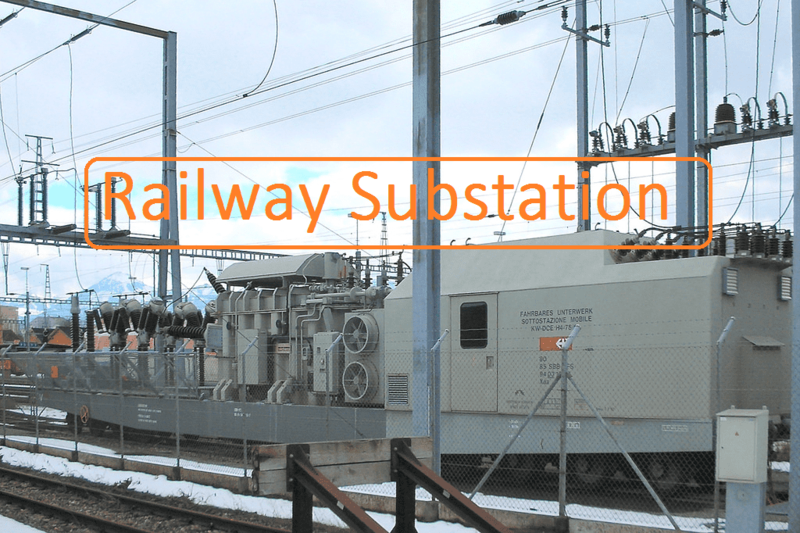 Electrified railways also use substations, often distribution substations. In some cases, a conversion of the current type takes place, commonly with rectifiers for direct current (DC) trains, or rotary converters for trains using alternating current (AC) at frequencies other than that of the public grid. Sometimes they are also transmission substations or collector substations if the railway network also operates its own grid and generators to supply the other stations. A switching station may also be known as a switchyard, and these are commonly located directly adjacent to or nearby a power station. A switching station is a substation without transformers and operating only at a single voltage level. In this case the generators from the power station supply their power into the yard onto the Generator Bus on one side of the yard, and the transmission lines take their power from a Feeder Bus on the other side of the yard. An example is the switching stations for the HVDC Inga–Shaba transmission line.